With the four day weekend almost upon us, please take a little time to make sure your office or unit will be secure over Easter. While it’s been estimated that bank holidays cost UK businesses billions of pounds each year in lost productivity, for many retailers, Easter is one of the busiest periods in the year. Whether you benefit or not, it’s now become the norm for companies to use seasonal holidays in their marketing or communication with customers. After all, it’s a fun way to connect with both current and prospective customers. Our business centre in Hooton held a coffee morning and raffle yesterday, generating almost £300 for charity. Over 20 prizes were donated for the event, from a paintballing day and 50% off a driving experience, to wine, cakes and of course Easter eggs. The money raised will go to Claire House, a local children’s hospice that has provided fantastic support to one of our longstanding customers, The Chester Partnership. 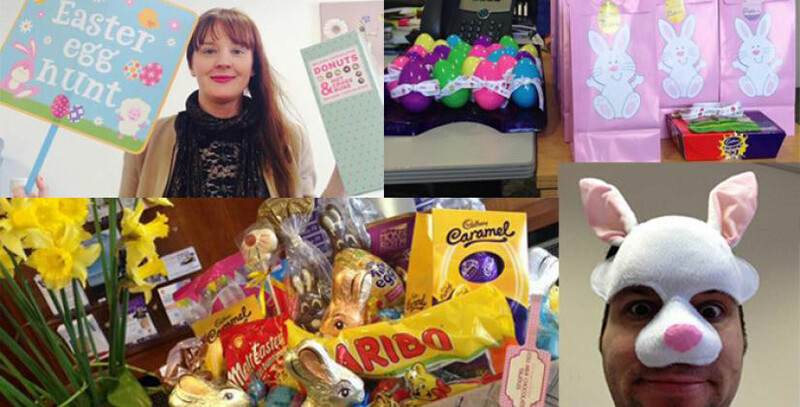 At Team Valley, our centre manager Stacey Normandale has organised an Easter egg hunt. She’ll be hiding 24 eggs around the site, and those lucky enough to find a chick (not real we hasten to add) will get a special prize! Intraining, a local company offering training for businesses nationwide will also be on hand to talk to companies about their services and what they can offer. keep valuables out of sight. Don’t make it easy for would-be thieves. Close your blinds and lock up any valuables, or take any portable ones home with you. make sure you have a list of emergency numbers. You should have a list of the names and contact numbers of our team you can call if you have any issues, plus any other relevant contacts you might need. If you don’t, ask for a list from your centre manager. make sure you’re insured. While Bizspace is responsible for buildings insurance, you are responsible for insuring the content of your office or unit. In the unhappy event that your unit is burgled, you want to be covered so you can get back up and running quickly and easily. make sure your data is secure. Make sure private and personal data is secure and cannot be accessed. Confidential documents should be kept securely locked and don’t leave passwords or keys lying around.